The National Blue Ribbon Schools Program recognizes public and private elementary, middle, and high schools based on their overall academic excellence or their progress in closing achievement gaps among student subgroups. Every year the U. S. Department of Education seeks out and celebrates great American schools, schools demonstrating that all students can achieve to high levels. Haines Elementary is one of 3 schools in Alaska to win this award for 2014. The National Blue Ribbon School award affirms the hard work of students, educators, families, and communities in creating safe and welcoming schools where students master challenging content. The National Blue Ribbon School flag gracing an entry or flying overhead is a widely recognized symbol of exemplary teaching and learning. School personnel, parents, and the community will be working closely together this year to make our schools even better for students. Your help, as students and parents, is necessary for these school improvement efforts. We encourage and welcome you to be active in the life of the school. 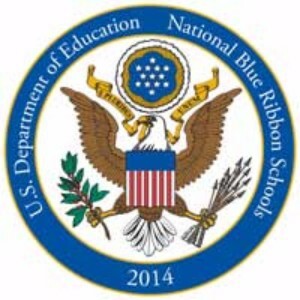 Click here for Department of Education Blue Ribbon Information. The primary school (k-3) uses an integrated, thematic approach to basic instruction and utilizes manipulatives in introducing mathematical and basic English concepts. Portfolio assessment is utilized throughout the primary grades.Grades four and five continue to stress the development of academic skills and emphasize the social skills of living and working together in a classroom and school environment. Grades four through eight also participate in the statewide Writing Assessment Program.The basic instructional program is complemented with art, physical education, music, and computer technology at all levels.Other special programs include Supportive Services, Gifted and Talented, Title 1, Migrant Education, Indian Education, and JOM. 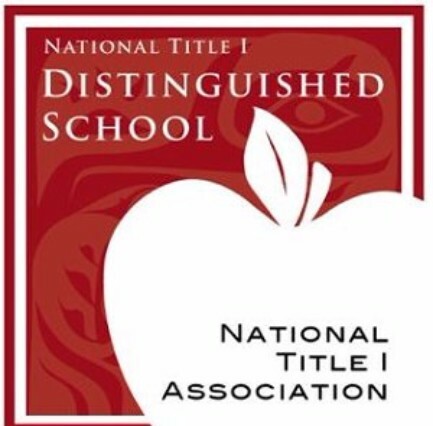 In 2012, the Haines Elementary and Middle School have been designated as Title 1 Distinguished Schools. These schools demonstrate a wide array of strengths, including team approaches to teaching and learning, focused professional development opportunities for staff, individualized programs for student success and strong partnerships between the school, parents and the community. What makes National Title I Distinguished Schools' stories especially powerful are the documented student achievement gains that have resulted from their innovations.